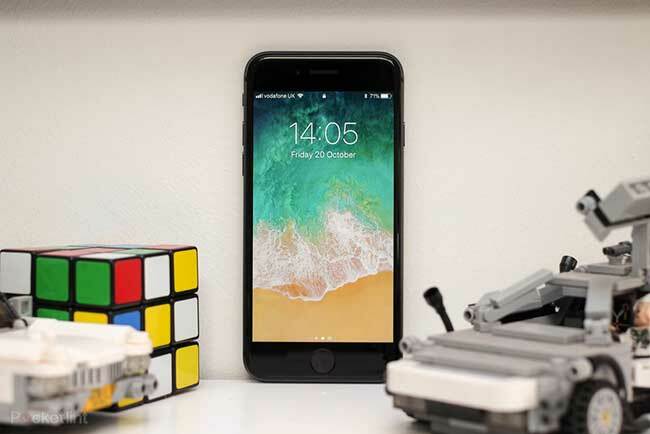 The biggest expectation and excitement for 2017 was the launch of iPhone 8 and iPhone 8 Plus. With the launch of iPhone 8 company has offered many advanced features. But you need to find out if this is the best smartphone for you or not? If I talk about the design of new iPhone 8 then you may not find any major change. The same Glass front and back but with the new gold color option. It is still not the water resistant and dust resistant. Its screen technology is new. With 4.7 inch screen and 1344 X 750 resolution. It also offers true tone display. It also features 3D Apple technology. You may find True Tone as the main upgrade. Now you may ask what is True Tone? True Tone is a feature which dynamically alters the screen display of your iPhone 8 depending upon the environment. This is actually a smart feature. It is actually comfortable for your eyes. iPhone 8 also supports the HDR10 format and Dolby vision. Now you can easily run HD videos from Netflix and iTunes. New iPhone 8 comes with a new A11 bionic processor and available with 64/256GB storage options. New iPhone 8 does not need much power as it does not offer Face ID, image processor, and two camera features. iPhone 8 supports Qi open standard with wireless charging. It also works with Belkin charging mats and charge really fast. Still have any question, feel free to ask me via comments. Wireless charging is one of the best features of iPhone 8.